Map of East Xacor for Elex. Missions, NPCs, Quests, Teleporters, Trainers, Traders, Monsters, Items, Secrets, Hints, Locations ELEX Walkthrough, ELEX Maps, ELEX Guide & Wiki. 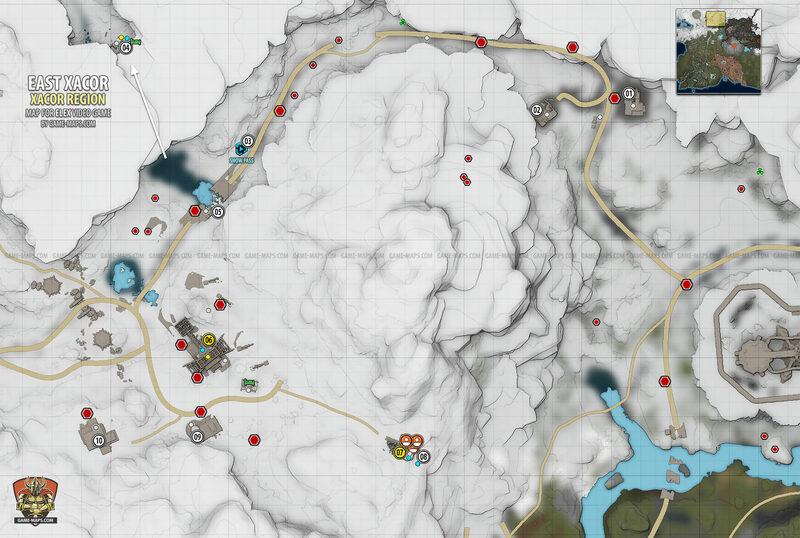 East Xacor Map for Elex. "Weathered Photo 8 on the roof. "